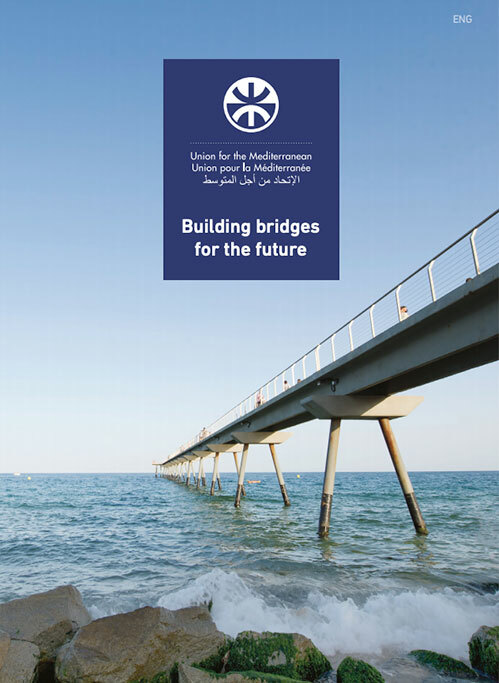 “The current regional context coupled with the reflection of Europe on the future of the European Neighborhood Policy and the Financial Perspective 2014-2020, offer an excellent opportunity to give the Union for the Mediterranean (UfM) a new coherent and visible strategy which is adaptable to the new regional reality”, said the Secretary-General of the UfM, Youssef Amrani. Mr. Amrani also expressed “profound solidarity and full support” to the efforts that are being made by the Tunisian Government in building a solid democratic transition. Mr. Amrani also referred to the latest announcement for a major financial mobilization at the summit in Deauville, a commitment of these international financial players, such as; EIB, EBRD and the World Bank:« this action shows the recognition of the international community to the importance of Tunisia in its march towards democracy ». He also recalled upon the recent EU announcement of funding 85.5 million euros which will benefit, initially, the countries that have already made progress in reform, such as Tunisia, particularly to promote democracy and good governance, regional cooperation, support for media and civil society, and projects related to migration. On the economic and social development aspects, he said that the priority of the provisional government is to support the resumption of economic activity, restoration of trust to boost domestic and foreign investments and to boosting job creation is « fundamental » for a better stabilization and development of Tunisia. « The existence of an organized civil society in addition to trained and equipped population will accelerate the rapid recovery of the Tunisian economy and accelerate the resumption of foreign investors », he added. Concerning the promotion of human rights, the Secretary General of the Union for the Mediterranean, said: « it must go hand in hand with the eradication of poverty, especially in the poorest regions”. He also called on the Euro-Mediterranean to « seize this unique opportunity » to explore new forms of regional cooperation in order to allow the Mediterranean to improve the socio-economic development in the most vulnerable areas. He reiterated on this regard that the UfM is available to provide its support to meet the needs of Tunisia, in terms of projects and concrete regional actions that could contribute to the return of foreign investors, creating businesses, and youth employment, which will allow by then, Tunisia to regain its economic and social stability. « The support for Tunisia does not boil down only on financial support, but also on greater involvement for investors, more tourism, more innovation, and greater strengthening the sectors of new technologies and information, for it is a vital area and essential for the country”, he noted. Mr. Amrani called for » Euro-Mediterranean citizen solidarity » to support tourism and investment in this region in order to revitalize this important sector for the economy; underlining that tourism, which forms about 7 % of the GDP and employs about 400,000 people, is fundamental to the development of the country”. The Secretary General commended on the spirit of solidarity and hospitality demonstrated by the Tunisian authorities and the Tunisian people for welcoming the Libyan refugees, and ensuring the security of the borders with Libya. 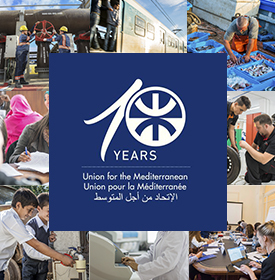 On a final note the Secretary General Amrani recalled that Tunisia, which has very long strong relations with all Mediterranean countries, was the first country in the southern Mediterranean to sign an Association Agreement with the EU in 1995,also was the first to support the Union for the Mediterranean, since its inception in 2008. « We believe that Tunisia is an essential and indispensable country in building a strong and pragmatic Euro-Mediterranean partnership that is capable of meeting the aspirations of the people of the Mediterranean and effectively meet the challenges ahead ». This is the first official visit of Mr. Amrani to a country member of the Union for the Mediterranean since he took office earlier this month in Barcelona.